Robert W. Clark - Franzén and Salzano, P.C. 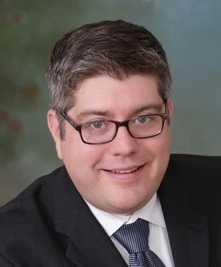 Robert W. Clark is an attorney with Franzén & Salzano, P.C. Robert practices in the firm’s consumer lending regulatory compliance area. He received a B.A. in Psychology from the University of Massachusetts in 2004 and a J.D. from the Roger Williams University School of Law in 2009. While at Roger Williams, Robert received a certificate of recognition for his commitment to public service. Prior to joining the firm, Robert worked for an international mortgage, real estate, financial, and technology services company in the legal and regulatory compliance department. He is currently admitted to practice in Georgia and Massachusetts. Review advertisements and other marketing materials for compliance with federal law. Perform legal and regulatory compliance management for international mortgage, real estate, financial, and technology services company. Develop framework to ensure compliance with all federal, state and local regulations, as well as client contractual requirements. Develop testing criteria and training programs to decrease compliance risk and operational errors. Analyze compliance activity data and prepare comprehensive monthly reporting for senior executive leadership. “Reviewing Marketing for Compliance Professionals,” MBA Certified Mortgage Compliance Professional Curriculum, March 2018.